An annuity might provide a joint and survivor option. With so many similarities between a Roth individual retirement account and a non-qualified annuity, you may wonder if it really matters to your retirement planning which one you choose. In both cases contributions are made with after-tax dollars, investment income accumulates tax-deferred and penalties may apply for early withdrawals taken before age 59 1/2. However, there are also significant differences that you need to consider when making your decision. You can make a large initial contribution to a non-qualified annuity, while your initial Roth contribution is limited to the annual limit set by the Internal Revenue Service -- $5,500 as of 2013, or $6,500 if you're 50 or older. Additionally, your allowable Roth contribution begins to phase out if your adjusted gross income is $112,000 -- $178,000 if you're married -- reducing to zero for incomes over $127,000 and $188,000 respectively. For an annuity, you might have the opposite issue, since many companies selling annuities require a minimum initial investment. The exception is when you are rolling over a distribution from a qualified plan, such as a 401(k). Then you could roll the entire amount into a Roth IRA and pay taxes on it. As with a Roth, withdrawals from an annuity prior to age 59 1/2 are subject to a 10 percent penalty on investment income, while withdrawals of after-tax contributions are tax- and penalty-free, at least for the purposes of the IRS. Annuity contracts often impose a penalty on withdrawals within the first few years of the contract. There are also not as many exceptions to the early withdrawal penalty for annuities as there are for Roths. Both types of accounts allow withdrawals for high medical expenses, disability and as part of periodic payments you will receive for the rest of your life, but only Roth accounts allow early withdrawals for higher-education expenses, medical insurance premiums when unemployed, to buy a first-time home and to pay back taxes owed to the IRS. The most significant difference between non-qualified annuities and Roth IRAs that should affect your decision is the way qualified distributions are taxed. If you keep your money in a Roth long enough -- which requires that it be in effect for at least five years in addition to the age limit -- all distributions, including from investment income, are tax-free. These tax-free distributions also apply to beneficiaries. This is never the case for non-qualified annuities. Either you or your beneficiary could get hit with a large tax bill if your annuity has been accumulating income for some time. Another important consideration when deciding between a Roth and an annuity is the investment options. Depending on the trustee you choose for your Roth, you could have a wide array of options available. You can even start a self-directed IRA, allowing for almost unlimited investment options, including gold and real estate. The company selling you an annuity may allow you a certain choice of investments, but these are usually limited. On the other hand, some annuity contracts will guarantee a fixed rate of return for a certain period, and if you're not a savvy investor, or just can't be bothered to keep track of your investments, you can allow someone else to do the investing for you. Whether you choose a Roth IRA or a non-qualified annuity, you are never required to take minimum distributions, as with a traditional IRA. However, if you do begin distributions from a Roth, and you die, your named beneficiary will be entitled to what is remaining in your account. Once you've started taking distributions from an annuity, what, if anything, goes to your heirs will depend on the pay-out option you chose. For example, if you choose a single-life annuity, benefits stop at your death, even if you'd received only a few payments and thousands of dollars remain in your account. 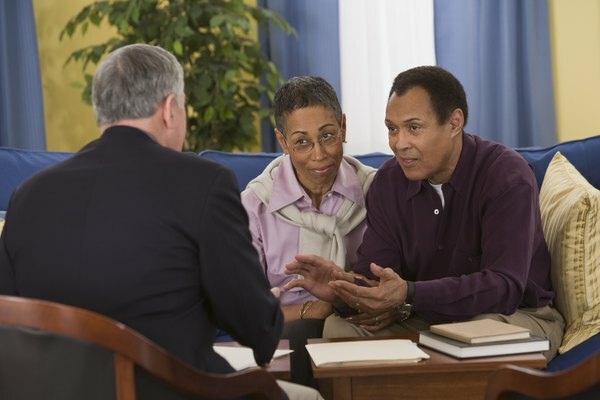 Northwestern Mutual: Annuities -What are They?